Olly was born at Flicka in the early hours of the morning on the 21st July 2017. His mother, Lottie, is a loving, gentle donkey who arrived at Flicka in August 2016. 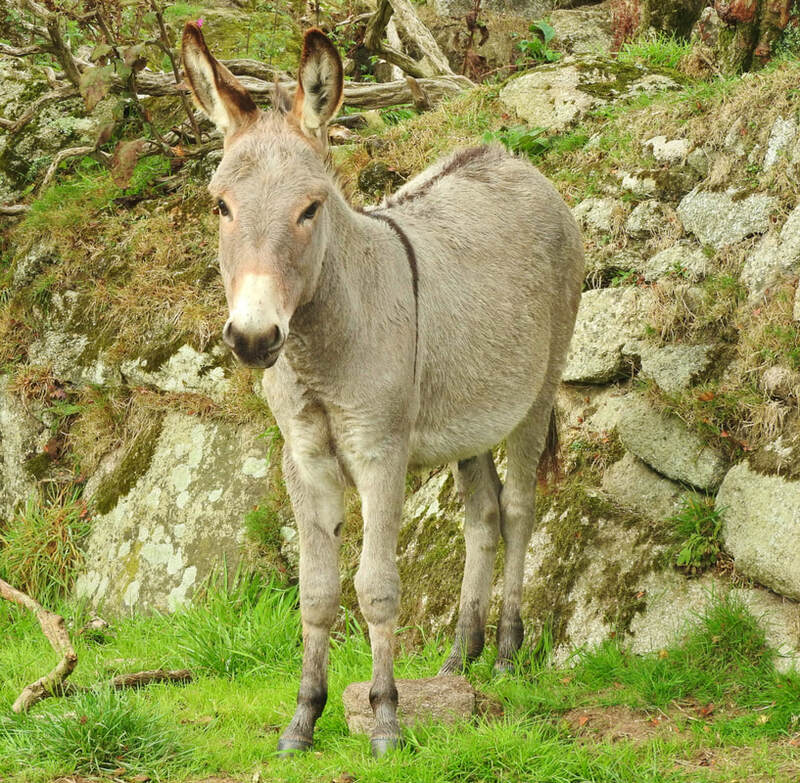 Her condition was very worrying; emaciation, rain-scald, lice and a heavy worm infestation made her a very poorly donkey. The other worry was the fact she was producing milk and was extremely depressed, indicating she had given birth not long beforehand. It was very upsetting to think she was grieving for a foal. ​Unbeknown to us, when she arrived, Lottie was actually in the early stages of pregnancy once again! After giving birth donkeys go through a ‘foal heat’ so are immediately fertile for three weeks after having given birth. Many unscrupulous dealers capitalise on this and keep donkeys almost constantly pregnant. It soon became clear she may be in foal and this was confirmed following further blood screening. Lottie had some very serious health issues and required many vet visits through out her pregnancy, but we were delighted when she gave birth to Olly, in the early hours of the morning on the 21st July 2017.